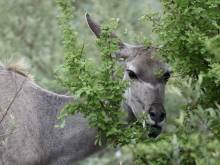 Nice to see that today we can watch a female kudu from close up, as it eats juicy leaves of a bush and visibly enjoys it. Because otherwise these timid antelopes always keep distance or run away. A beautiful evening, starry sky, a delicious dinner, and above all, the right people gathered around the crackling fire. 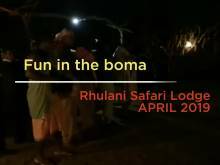 These are the best conditions to get the mood right in our traditional boma. Take a look! We all wondered what this lonely zebra was looking for in this earthy hollow. There is no grass, nothing green, and yet the zebra seems to find something to eat here. 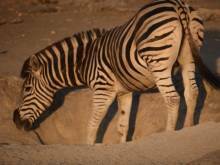 In fact, as our ranger explained, the striped animal finds healthy minerals. Rolf’s blog today is a contribution to all our loyal visitors, who once again want to see the original bathroom from their guest chalet and to say goodbye. A while ago, we decided to renovate all the bathrooms. Elephants love the marula trees, and especially the delicious marula fruits. 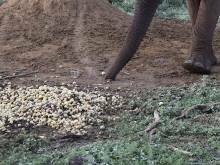 Look how happy this elephant bull is when he discovers a large amount of these sweet fruits here! Rhulani Safari Lodge announces a further expansion in our massage & treatment offer. Since today our qualified Spa Therapists will spoil you with a soothing “LomiLomi Massge”. Would you like to enjoy the sun and the beauty of the African bush in the wonderful fall season? 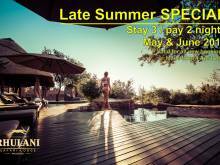 At Rhulani Safari Lodge, we have an attractive offer for you. Call us now! The African bush is home for many different animals: big ones, small ones, and often also for rather unexpected ones. 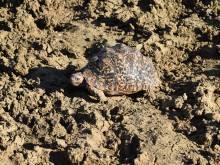 Often our guests are rather surprised to suddenly discover a leopard tortoise in the open savannah. Have a look here! Because of the late Easter this year, the month of March offered safari visitors in Madikwe a very quiet experience with nature. Time to relax and enjoy unique wildlife watching with the setting sun. 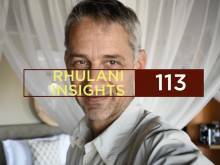 Welcome to our monthly review from the bush. 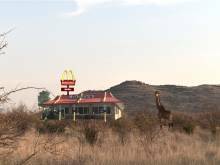 The American fast food giant McDonald’s discovers a new business field with the wild animals of the African bush. 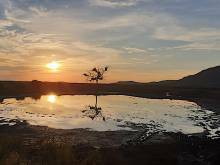 In a pilot project, the first so called “Mc Bush” restaurant opens today in the “Madikwe Game Reserve”, with the aim of providing food for hungry animals. The restaurant could also be an option for a quick stop for guests on safari, although the opinions about it are different.